This is the brand that started it all, adding antioxidant-rich argan oil to their products helping revive hair and skin. I’m surprised that I haven’t really used Moroccanoil products before. I’ve tried the Treatment oil a couple of times and I see their products almost everywhere but it’s so strange that I haven’t really tried other products until now. When I had the opportunity to try some products in lieu of a review, I jumped at the chance. 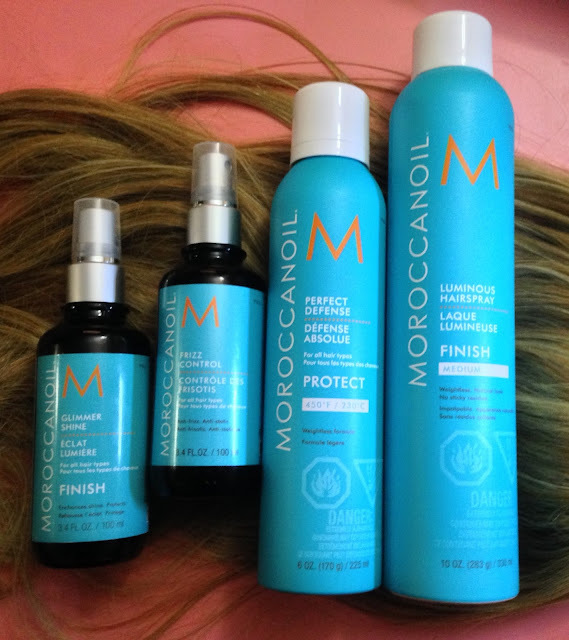 MOROCCANOIL Inc. is based in Los Angeles, California and markets products for hair and body use. The products include hydrating lotions, body scrubs, shampoos, conditioners and styling products. All products are infused with argan oil, signature to the brand, providing the highest quality hair and body products. Moroccanoil has grown into an iconic beauty brand in less than a decade. This is a weightless, dry aerosol, heat protective spray that has argan oil and vitamins. I have not been a fan of heat protectant in the past because I found they dried out my hair even more so I was really impressed with Moroccanoil Perfect Defense. It left my hair feeling smooth and not stiff or sticky; there were no flakey residue on my hair from the product. My hair felt re-hydrated and not greasy or heavy. I use hair styling tools almost every day so it’s great to have a heat protectant that actually protects my hair! I have been wearing my hair back a lot this winter, the cold weather has caused my hair a lot of static and frizz. Once I started spritzing my hair with Frizz Control, it removed the hair static and frizziness. Finding a product that lives up to its claims is like finding gold! Not only will Frizz Control actually manage any lurking frizz, but the argan oil in this product helps to protect and strengthen the hair while adding incredible shine. This is a finishing spray that reflects light to give hair a gorgeous gloss. It is also infused with argan oil, vitamins and antioxidants to create shine as well as protect the hair against environmental elements. I loved how it would enhance my highlights, adding the perfect touch to finish my hairstyle. The jar is so beautiful! This Paraben-free body scrub gently polishes away hard and flaky skin, leaving it feeling soft and smooth. 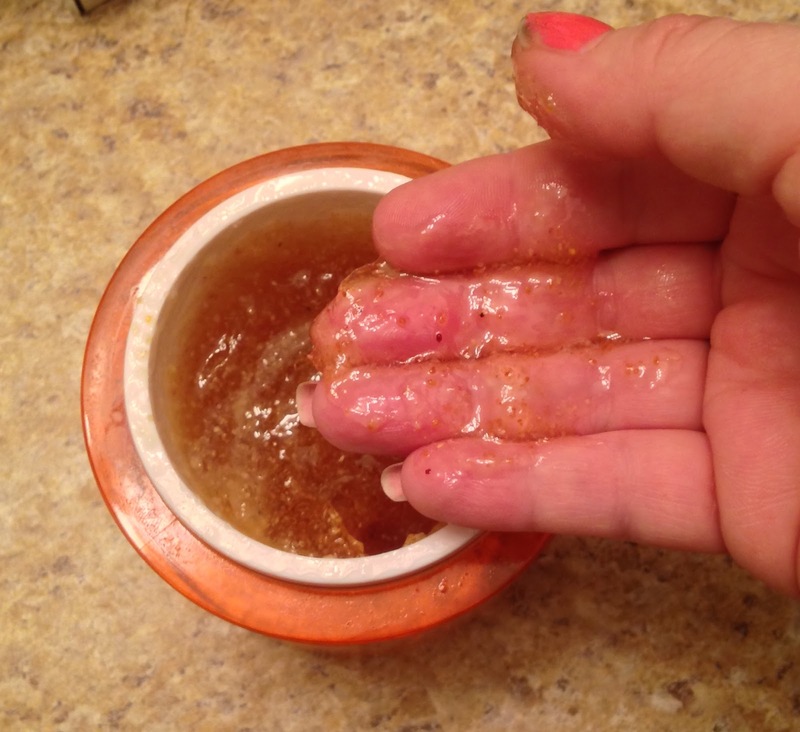 It has an amazing scent because it is made with orange peel which works wonders on the skin. Orange peel helps to reduce acne, wrinkles and patchy skin, when applied the antioxidants and vitamin C in the peels helps to get clean and glowing skin. With added benefits of argan oil, Vitamin E, avocado, grape seed, sesame and sweet almond oils skin feels rejuvenated and moisturized. It has a mixture of large and small grainy particles. Although this is a scrub, I found it to be very gentle, I would use it twice a week and it left my skin soft smooth and feeling amazing. My only complaint is that it also left my bathtub very moisturized and slippery which took a few scrub downs with a sponge before it wasn’t so slippery. 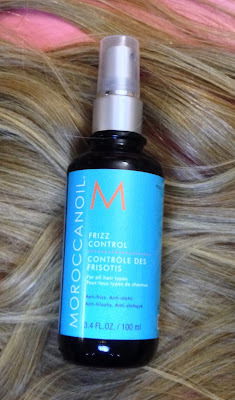 I have thick, wavy hair and I can say that this is excellent for controlling frizz! I’ve found it never made my hair look greasy instead it gives my hair intense shine and keeps my curls intact but still controls flyaways. It may seem like an expensive price tag, but a small amount of product goes a long way – the bottle will last you a long time. 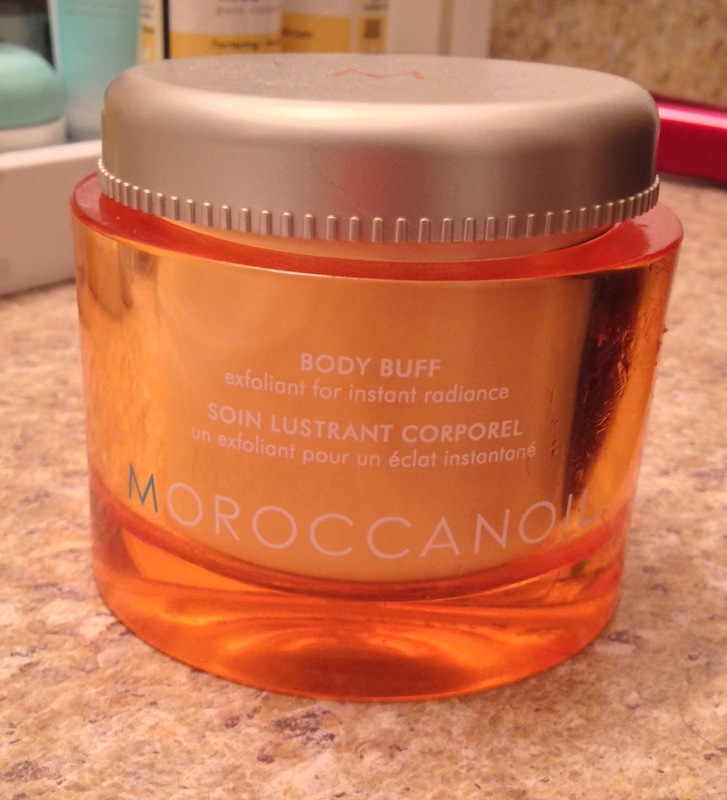 The products have a light scent and the Body Buff smells delicious.